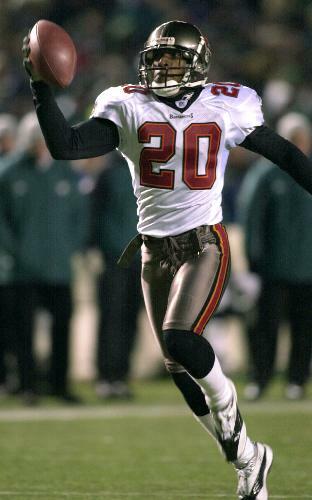 Buccaneers cornerback Ronde Barber decided to return for a 15th season in the NFL, signing a one-year deal in February. At 36-years-old, Barber is the oldest player on the NFL’s youngest roster. With age comes wisdom, and Barber has some advice for talented, but troubled cornerback Aqib Talib. “If I had any guidance for Aqib it would be to make him focus on football,” Barber said according to Rick Stroud of the St. Petersburg Times. “Everybody has priorities, and I’m not one to tell anybody what to do with their lives, but we all know that football has got to be something that defines him, not all this other stuff. “Aqib is a person that should be…the confident Buc,” said Barber. “But he’s got to embrace Tampa the way Tampa as the team wants to embrace him. Warren (Sapp) was great with that. He knew the team atmosphere was better when everybody is around. There’s a culture, a spirit, and nowadays (players) want to go back and train wherever they are. Barber isn’t so sure the Buccaneers will sign his brother, Tiki, who is making an NFL comeback this offseason after retiring following the 2006 season. 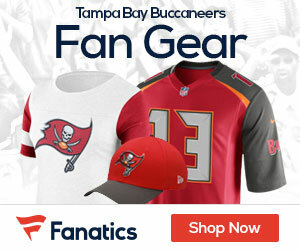 “I don’t know how realistic it is now,” Barber said of playing with his brother, who has listed the Buccaneers on hi short-list of teams he’d want to play for.